L8202 ACT 36/1947/ HERBICIDE GROUP CODE B ECO-IMAZAPYR 100 SL is a non-selective herbicide with residual activity for the control of plants in forestry areas, nature conservation, industrial and grazing areas. 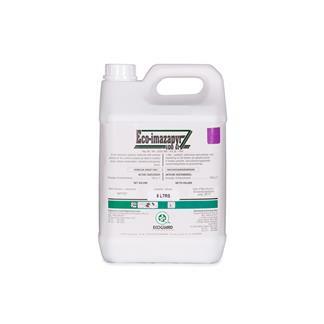 ECO-IMAZAPYR 100 SL is absorbed quickly through plant tissue and can be taken up by roots. It is translocated in the xylem and phloem to the meristematic tissues, where it inhibits the enzyme ALS synthesis. The rate of plant death usually is slow (several weeks) and is likely related to the number of stored amino acids available to the plant. Only plants have ALS and produce these three amino acids, and therefore, imazapyr is of low toxicity to animals (including fish and insects). In soils, imazapyr is degraded primarily by microbial metabolism. It is not, however, degraded significantly by photolysis or other chemical reactions. ECO-IMAZAPYR 100 SL is a broad-spectrum herbicide that controls terrestrial annual and perennial grasses and broadleaved herbs and woody species. 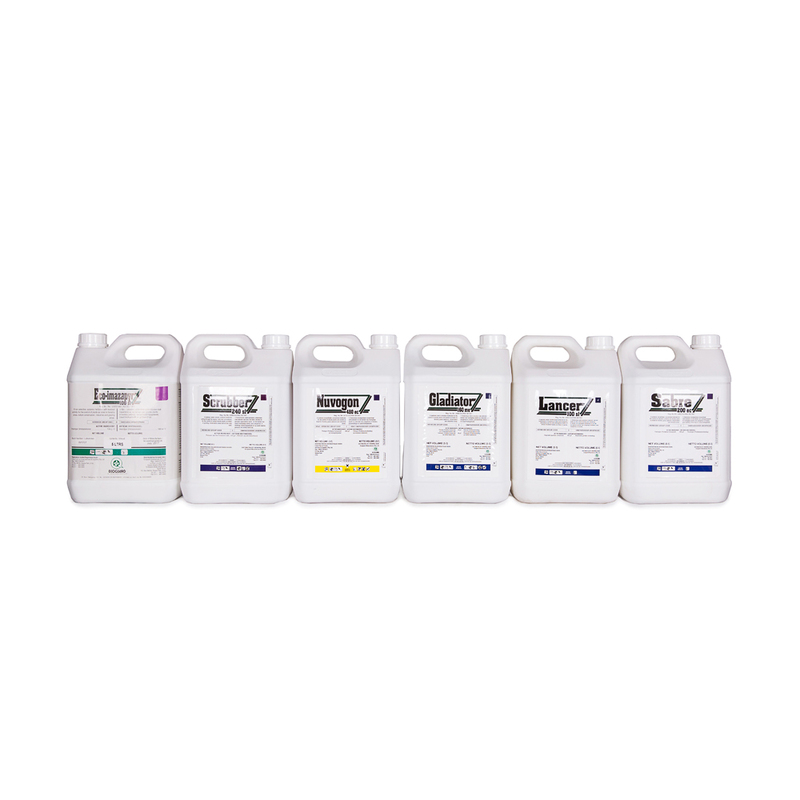 It can be used where total vegetation control is desired or in spot applications. ECO-IMAZAPYR 100 SL is effective for creating openings for wildlife use and can be applied pre-emergent but is most effective when applied as a post-emergent herbicide. Eucalyptus maculata Spotted gum Bloekom spp. Eucalyptus paniculata Grey ironbark Bloekom spp.